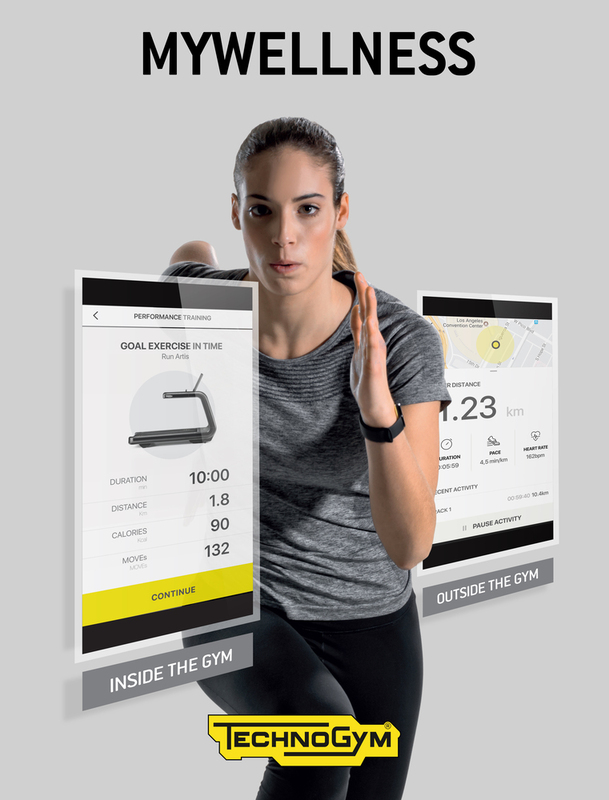 Our three gyms feature the latest Technogym kit with connected technology to let you record and track your fitness activity both in and out of the gym. You can also personalise your gym visit through your Mywellness account, as it allows individual login to the equipment giving you access to social media, favorite workouts and settings, and being cloud based allows you to track and access your data where ever you go! You can check your activity on your mobile, tablet, PC or on the equipment using the new Unity screens. It’s easy to create your own free Mywellness account – either on the App (for mobile or tablet) or on our website or Unity screens in the gym – and then start tracking all your activity, training, body stats and goals both inside the gym and outside training. Track your daily activity automatically with your Mywellness account; just swipe in for your gym session, class or swim. Synch your Mywellness account with other fitness apps including Fitbit, Garmin and Strava to enable complete fitness tracking. You can also manually add all kinds of activities from housework to walking the dog on your Mywellness. You’ll be allocated a fitness advisor in the gym. They will design a personal training plans based on your aspirations and goals. Your personal progammes will be uploaded to your Mywellness account, so you can access it whenever you want. You can also view your programme via the Mywellness App, on the equipment in the gym or from a PC and tablet. Our staff will also make lifestyle reccomendations to help you hit your goals and targets. Your advisor will maintain regular contact and regularly review your training plan. Goal setting is easier using the Tanita Body Stats Analysis. Tanita gives you accurate body measurements that go far beyond weight and body fat. Results include: body mass index, muscle mass, bone mass, visceral fat (the dangerous stuff), basal metabolic rate (how many calories your body needs) and metabolic age (the age your body thinks you are). Your results automatically upload to your Mywellness account to allow you can use to track your progress. Goal setting using Tanita Body Stat Analysis, to see where you are and where you want to go! “The Tanita machine was set up and ready to start my analysis. It was simple to use and only took moments to complete the scan. The real benefit came from the results, Brendon (Fitness Advisor) was able to talk me through my analysis and highlight areas including recommendations of exercises to enable fat loss and muscle gain for my specific goals.